Spending the night here is like staying in a 16th-century mansion, with all the luxuriousness that implies. Think wonderful ceiling frescoes, antique furniture, authentic paintings, rich fabrics, and tons of chandeliers. It’s in the peaceful Cannaregio district, away from Venice’s hustle-and-bustle but still within walking or boating distance to the main sights. One of the best parts of Palazzo Abadessa is its charming and lush private garden, where you can have breakfast or (complimentary) afternoon tea, or just chill with a good book. 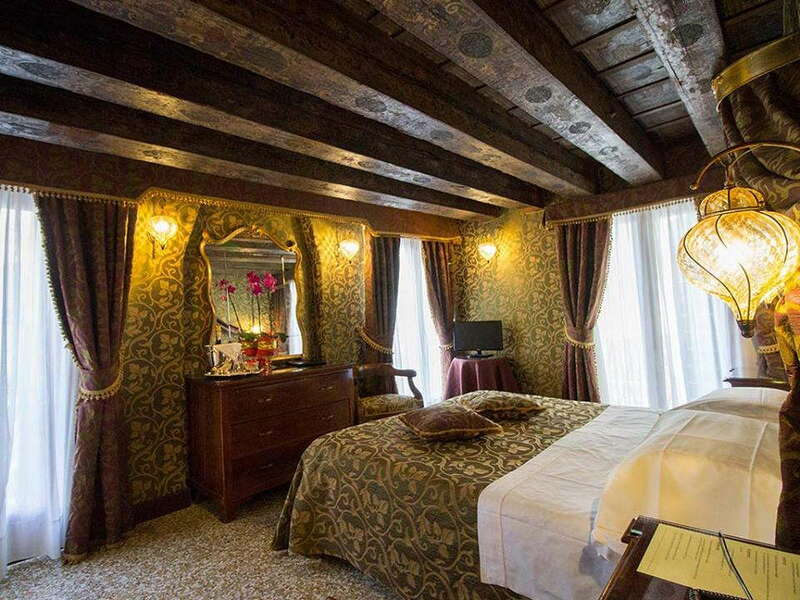 Each of the 15 guest rooms is unique, and all are richly decorated with silk wallpaper, high ceilings (many with frescoes), chandeliers, and antique mirrors. Yes, you will feel like a king or queen returning to your royal palace. Some of the rooms have lovely canal views, so be sure to ask (and prepare to pay a bit more) if you’d like one. Bathrooms can be on the small side, and come with either a shower or a combo tub/shower (except for suites, where separate shower and tub are standard). YOU SHOULD KNOW The bathrooms are a bit disappointingly plain compared to the regal quality of the rooms. Palazzo Abadessa’s lobby is gorgeous, with marble floors, luxe carpets, beamed ceilings, and stained glass windows. But it’s more for admiring than for hanging out; try the garden instead if the weather’s good, or one of the pretty sitting rooms if it’s not. 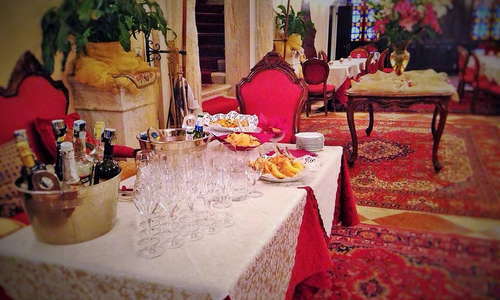 There’s no restaurant at Palazzo Abadessa, though rates include a tasty buffet breakfast served in the lovely breakfast rooms or outside in the garden. A ferry from the Ca’ d’Oro vaporetto stop (3-minute walk) will drop you off in San Marco and other locations around Venice. 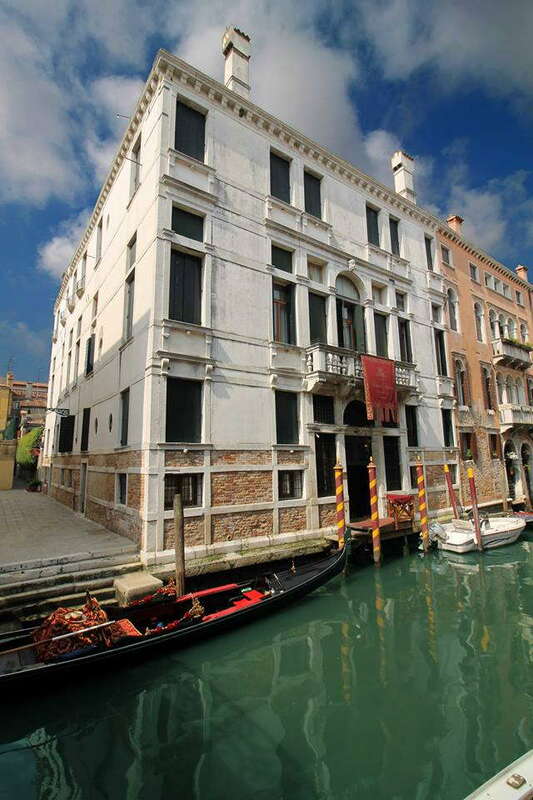 You can also take a traghetto from the nearby Santa Sofia stop (2-minute walk) that will take you directly across the canal to the Rialto. Plus, walking is a breeze; you can reach San Marco in about 15 minutes. 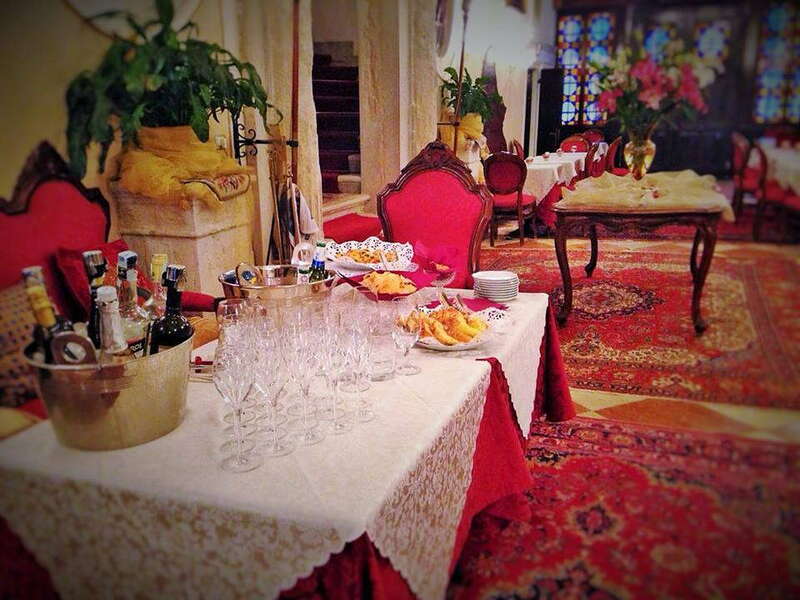 Cozy Osteria Ca’ d’Oro alla Vedova (2-minute walk) is known for its polpette (fried meatballs) and local vino. Reserve in advance for a great selection of traditional dishes—especially the seafood—at Osteria La Bottega ai Promessi Sposi (3-minute walk). 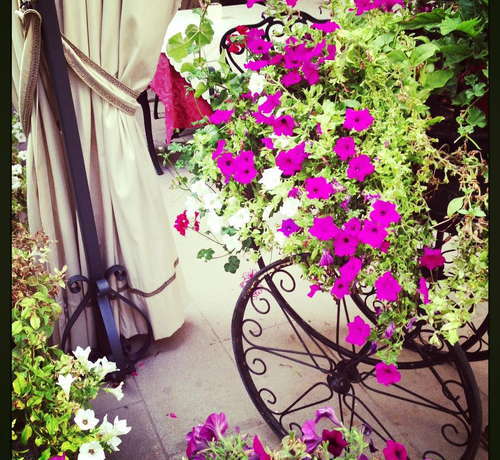 Charming family-run Vini da Gigio (4-minute walk) offers tasty pastas and seasonal dishes with a great wine list. El Sbarlefo Cannaregio (4-minute walk) offers delicious cicchetti like the classic sarde in saor (sweet and sour sardines), plus a good choice of wines and cocktails, while petite wine bar Un Mondo di Vino (6-minute walk) is a great place to enjoy aperitivi (wine or spritz and bar snacks). 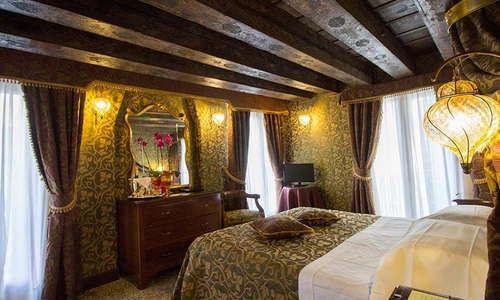 Palazzo Abadessa is truly a one-of-a-kind Venetian location to while away a few days. The palace is gorgeous, the garden wonderful, and the location serene.